Thank you to all of our customers and readers who took the time to send your thoughts about the article about identifying airline call signs. Here is a great email that I received from retired American Airlines Captain, Tony Vallillo. Call signs are, for the most part, a piece of aviation history. Most of them go back a long way. “Cactus” is the call sign for a portion, but not all, of USAir. Specifically, It was originally the call sign for America West when it was a separate airline and is still used by part of the fleet, specifically, by that portion that used to be America West. The rest of USAir uses “USAir” as the call sign. “Brickyard” was the call sign for American Trans Air, which had its headquarters in Indianapolis. I dimly recollect a time when their call sign was something like “Amtran”, but they probably changed it due to similarity with another call sign, possibly American. Likewise, that is undoubtedly the reason that America West wound up with “Cactus”, which fits with their original headquarters in Phoenix. As an aside, the Cactus call sign will at some point disappear when USAir and America West complete the final aspects of their merger, which will result in one FAA certificate for the combined entity. Things like radio call signs are part of that FAA certificate. Pan American used to be “Clipper”, a reference to their original flying boats. British Airways uses “Speedbird”, a reference to the symbol that appears on their airplanes. It is the image to the right. Value Jet used “Critter”, a reference to a character painted on the airplanes. Some Regional Airlines use a modified version of the parent or associated major airline call sign, such as "United Express", even though the actual name of the airline may be something like Midwest or Comair. On the other hand, American Eagle does use the call sign “Eagle Flight”. 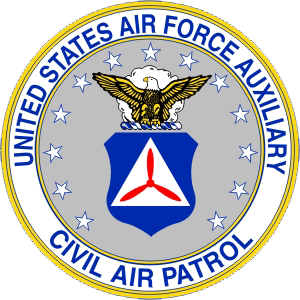 The Civil Air Patrol, which is the volunteer auxiliary of the USAF, gets to use the call sign "CAP" along with a number associated with the airplane. This is, perhaps, the only instance of an entity other than an airline or a military service having something other than the registration number of the airplane as the call sign. The Military Airlift Command used "MAC" plus the tail number. Following a United States Air Force reorganization, that entity is now called the Air Mobility Command and uses the call sign "Reach" – for global reach, their command motto – rather than "AMC",which could only be pronounced one letter at a time. Many individual units in the military services use tactical call signs unique to the squadron, things like Viper or Bolo, or a great many other often imaginative names that are easy to pronounce and distinctive sounding. And who could forget Air Force, Marine, or Navy “One”? That call sign, of course, identifies any aircraft carrying the president. And yes, if he happened to be riding an Army aircraft, it would be Army One! There are special call signs, such as "Lifeguard" that any aircraft can use if they are transporting certain critical items like certain patients, or transplant organs. This would apply even to airline flights, thus you may hear "American Lifeguard 44". Please click here. Our thanks to Phil Worley for this link.